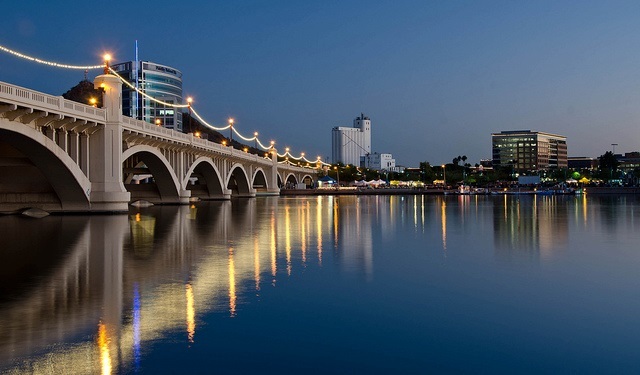 The East Valley is a growing area of Metropolitan Phoenix which largely consists of Tempe, Mesa, Chandler and Gilbert. It's economy is largely driven by healthcare, aerospace, education, tourism and technology. It is home to Intel's two Chandler campuses and Boeing's Apache helicopter assembly plant among others. Arizona State University has two campuses in the area - the main campus in Tempe and the Polytechnic campus with its new College of Innovation and Technology in east Mesa. Three Cactus League teams spring train in the East Valley where you will also find an abundance of golf courses, Mother Nature's display of beauty of the Superstition Mountains, the San Tan Mountains, the Tonto National Forest and the lower Salt River Basin. Scroll down for more information on the East Valley market and to search East Valley properties. And be sure to call Linda Martin at 480-225-8884 if you are interested in seeing any properties for sale in this area!